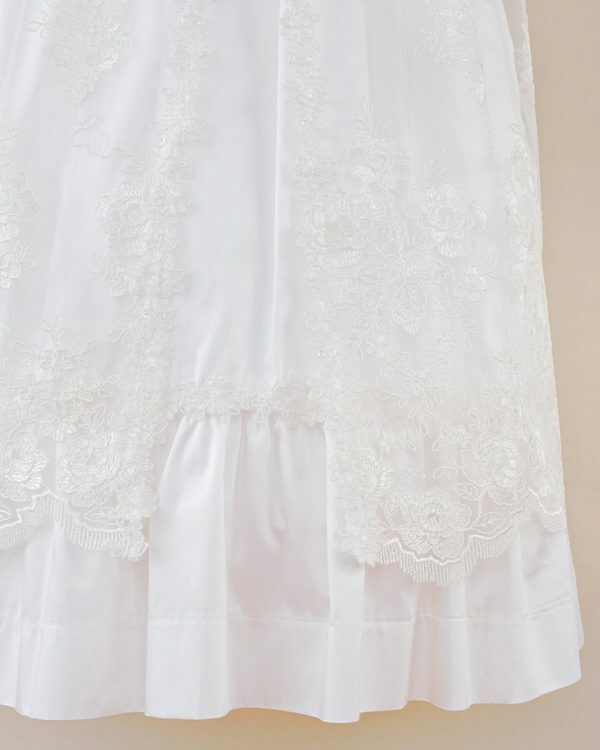 The Sophi gown is part of our Regal line, featuring luxurious dupioni silk undergown and a delicate lace netting overskirt. 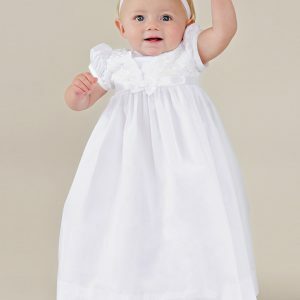 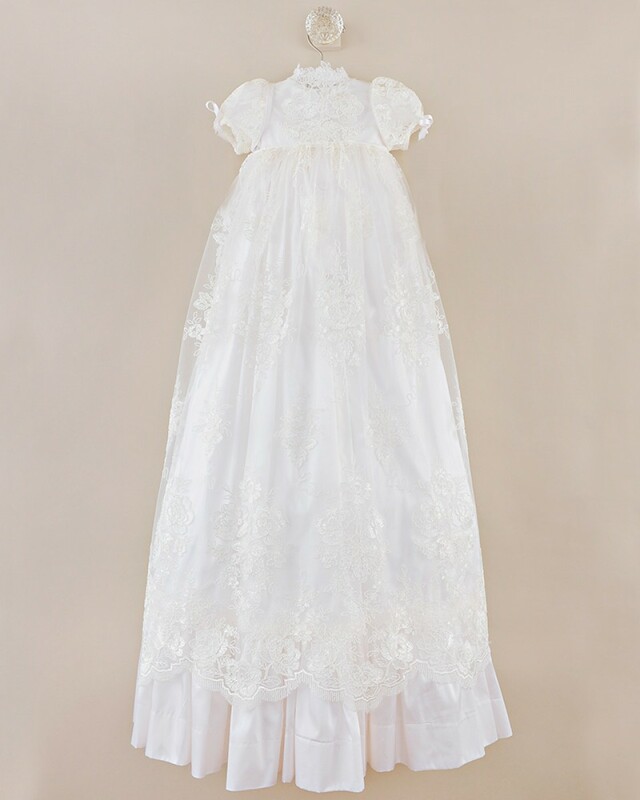 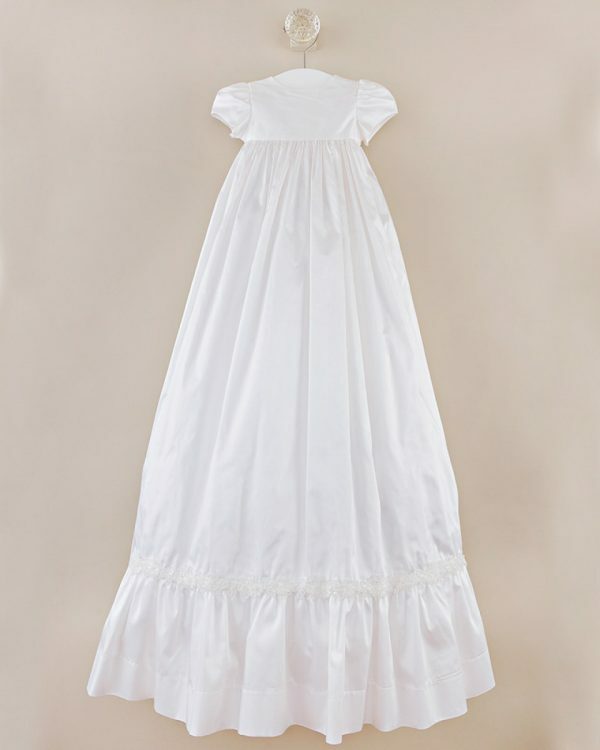 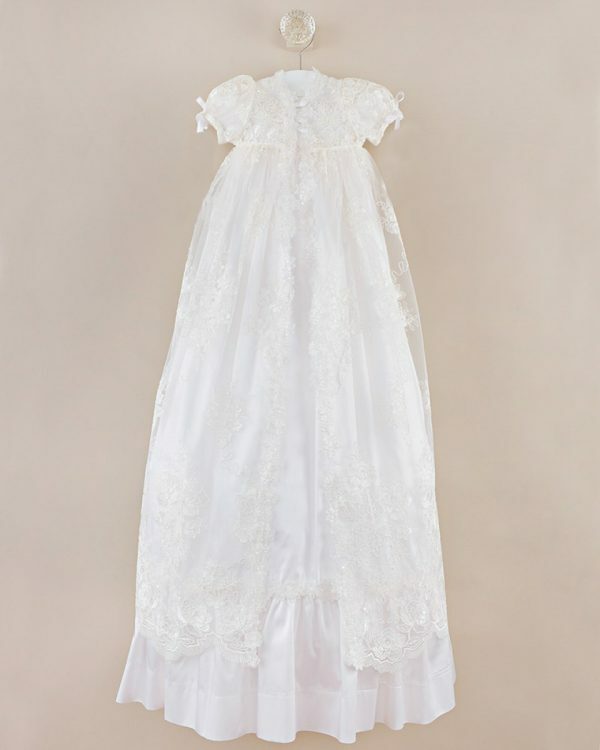 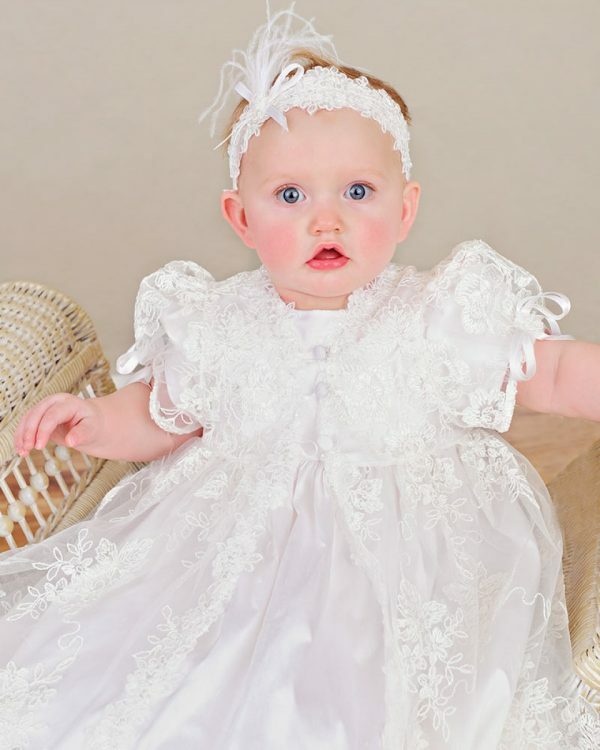 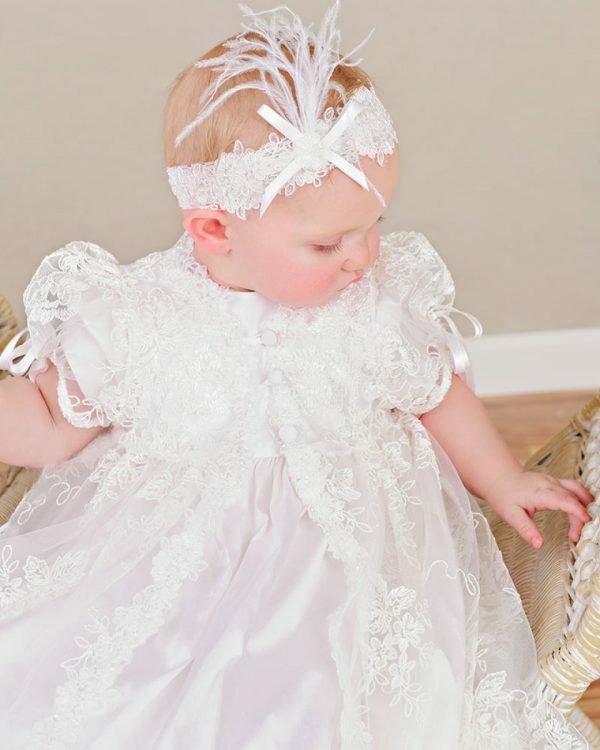 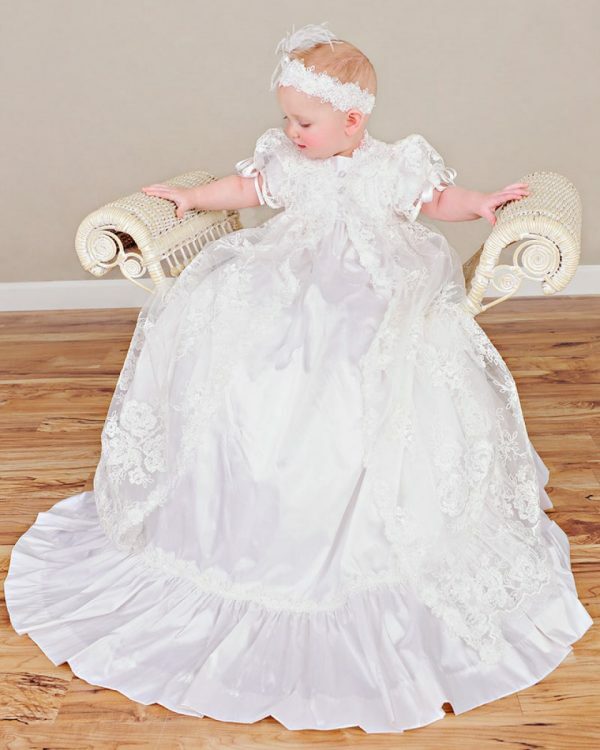 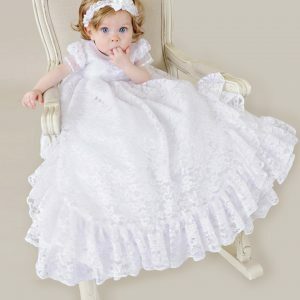 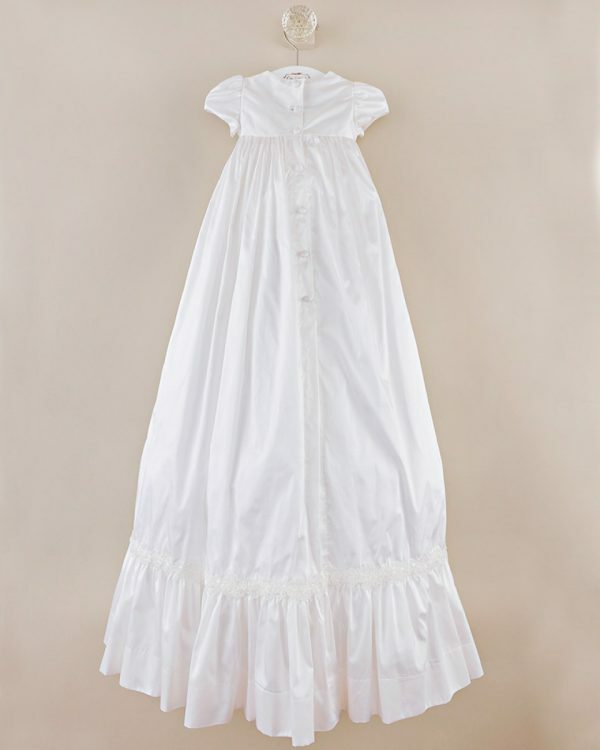 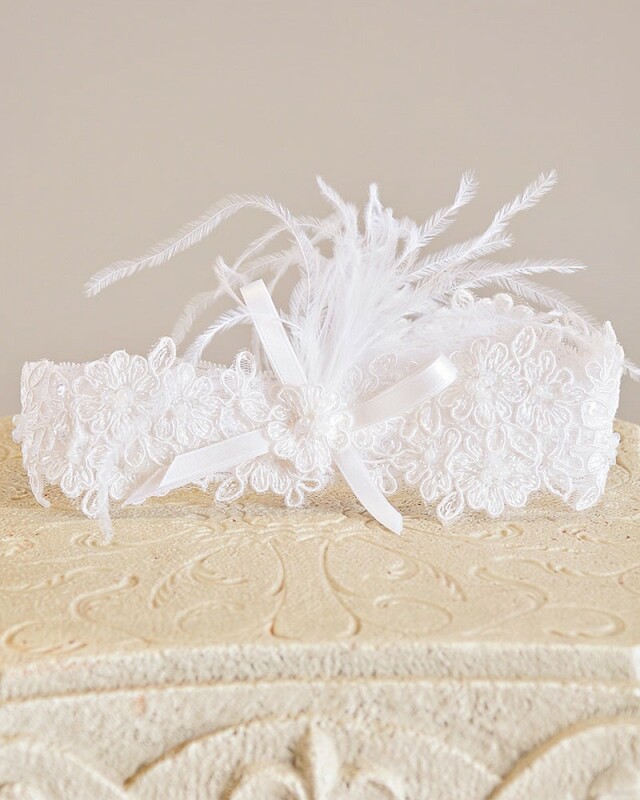 No detail is spared in this profoundly regal silk & lace christening gown. 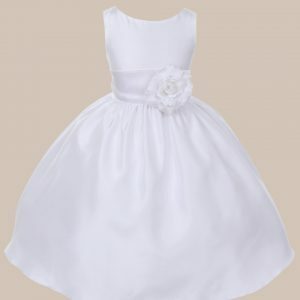 White or Ivory Poly Silk Dress with Organza Sash and Flowers – Tons of Colors!